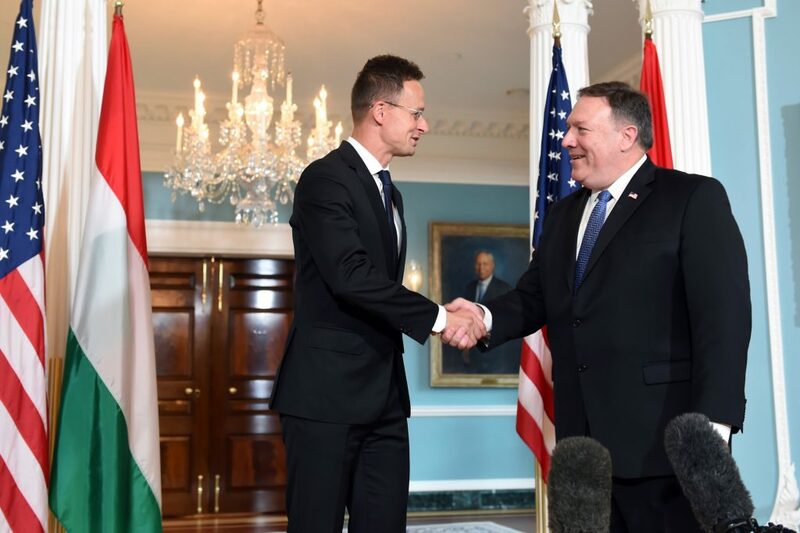 After meeting Minister of Foreign Affairs and Trade Péter Szijjártó at the White House in Washington D.C., US National Security Advisor John Bolton confirmed in a tweet that Secretary of State Mike Pompeo is set to visit Hungary next Monday. According to Bolton, he and the Hungarian Foreign Minister discussed defense cooperation, energy diversity, confronting Russian malign influence and maintaining an ironclad commitment to NATO. On Thursday, the prime minister’s press chief confirmed Secretary of State Mike Pompeo’s visit to Hungary on 11 February. Szijjártó told MTI that the Secretary of State’s visit proves Hungary’s status as a trusted NATO ally. He added that Hungary’s political relations with the US have only improved since a Republican administration entered office. “One could say that our political relations are slowly reaching the level of [our] economic and defense cooperation,” he said, adding that this is clearly reflected by the fact that a US secretary of state is paying a visit to Hungary for the first time in eight years. He also said that Hungary is committed to strengthening the North Atlantic alliance and supports the United States in its global efforts to fight terrorism as the leader of an international coalition. Last month, the Wall Street Journal claimed that Pompeo’s upcoming visit is motivated by dissatisfaction. The article stated that while the US wants harsher answers to China’s cyber warfare and Russia’s presence and activity in Ukraine, Orbán—similarly to Austria—would prefer to stay neutral. Although Hungary enjoys the convenience NATO offers, it blocks the relation between NATO and Ukraine because of the latter’s education law harming the Hungarian minority. WSJ also notes that although Ambassador David B. Cornstein is satisfied with Hungary’s democracy, the majority of the media is now linked to Orbán’s circles. In addition, the Wall Street Journal claims the US is worried about China and Russia’s investments in “sensitive” fields like telecommunication, whereas, Orbán and Czech president Miloš Zeman actively encourage Chinese informatics investments. PM Orbán insisted a spread of “fake news” across international and Hungarian media aims to create confusion ahead of the visit. 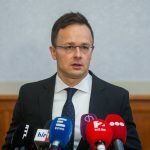 Szijjártó informed MTI that he would hold a joint press conference with the US State Secretary on Monday. Pompeo will also meet Prime Minister Viktor Orbán and the Minister of Defense.